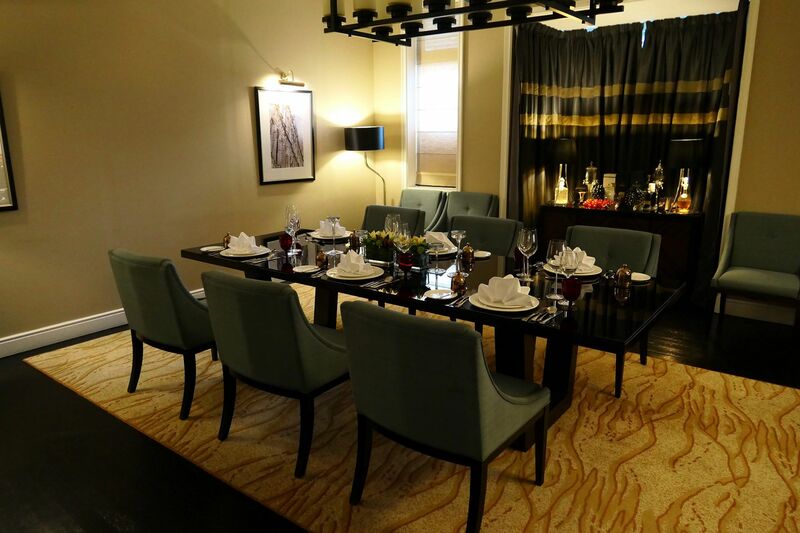 This feature contains the info on the dining promotions and sets in restaurants in hotels, as well as romantic couple spas sessions, and romantic hotel stays in hotels in Kuala Lumpur, Petaling Jaya, Penang and Langkawi. 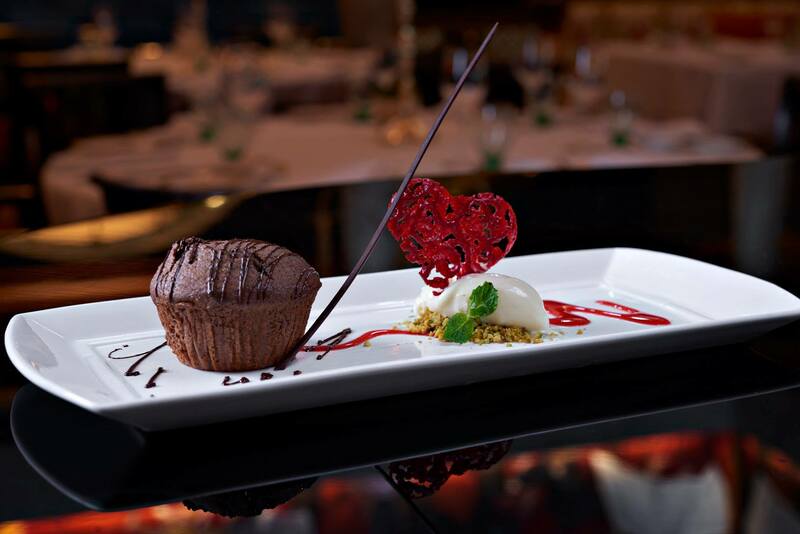 Lafite at Shangri-La Hotel, Kuala Lumpur is all set to celebrate Valentine’s Day on 14 February with the most romantic dinner. The elegant ambience of Lafite, with its soft lighting and its impeccable service, is so ideal for this night of love. 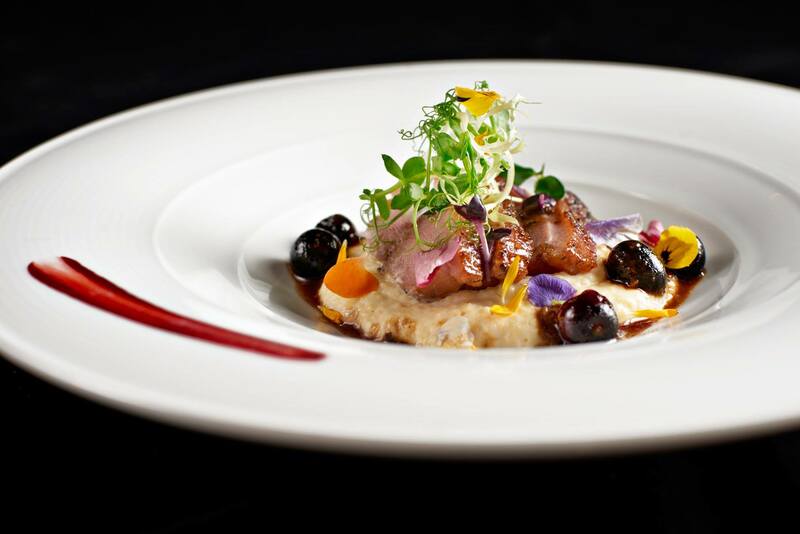 A special six-course French fine dining menu has been created for this occasion by Executive Chef Olivier Pistre. Lafite’s Valentine’s Day Set Dinner Menu, at RM599 nett per person, begins with Caviar Ossetra with potato ice-cream, brioche crumble, Granny Smith espuma and sorrel and “Hokkaido” Scallops complemented by “Carpaccio & Tartare” with truffle sauce, deep-fried “Cardoret” oyster with walnut cream and spicy meringue with Yuzu gel. It continues with Grilled Duck Foie Gras with consommé “Pot A Feu” and seasonal young vegetables and Trou Normand consists of raspberry sorbet and “Veuve Cliquot” sorbet. The main course comes with choice of Wild Caught French Sea Bass with kohlrabi puree, juniper crumble, Malaysian kumquat gel and armoricaine jus or Wood-grilled & Cohiba-smoked Australian Beef Tenderloin with celeriac puree & remoulade, blackberry gel & pickles, young beetroot and Sarawak pepper poivrade sauce. Dessert is Candied Orange with Grand-Marnier espuma, caramel crumble, fresh orange segment and mandarin sorbet. 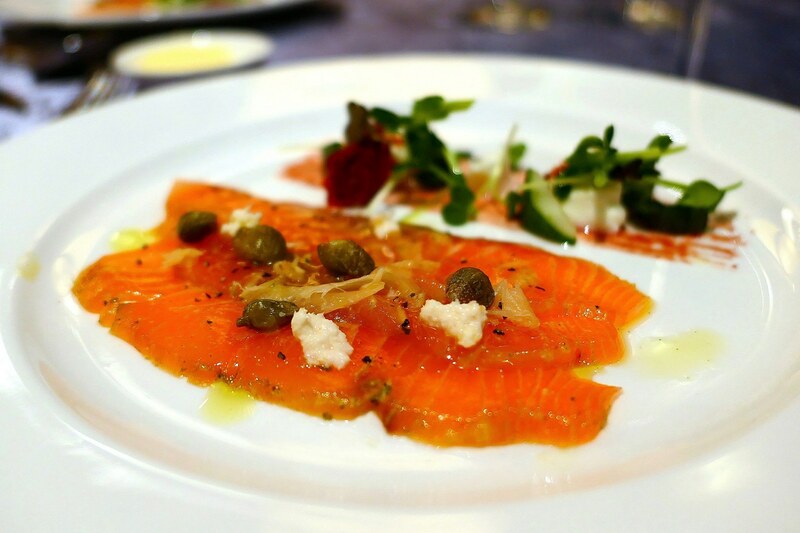 The Westin Kuala Lumpur offers love birds a choice of an intimate Italian dinner at Prego Italian Restaurant, or an exquisite buffet spread at The Living Room. 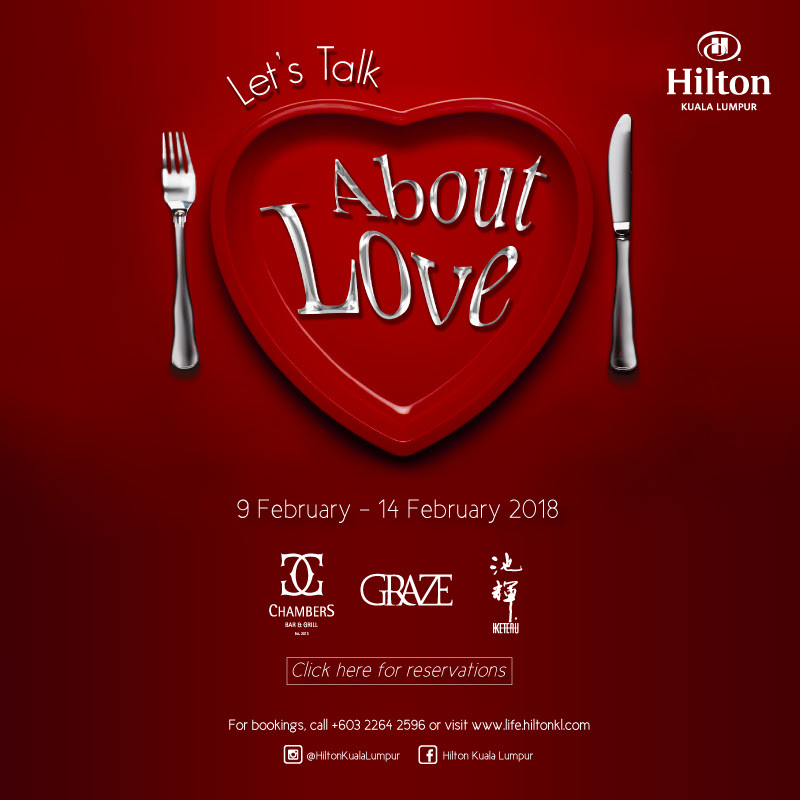 Celebrate love with an exuberant Valentine’s Dinner Buffet spread featuring a variety of fresh seafood, hot and cold platters, Japanese sushi and sashimi bar, carvery station and not to forget an elaborated dessert station with an endless pink chocolate fountain and delectable sweets. 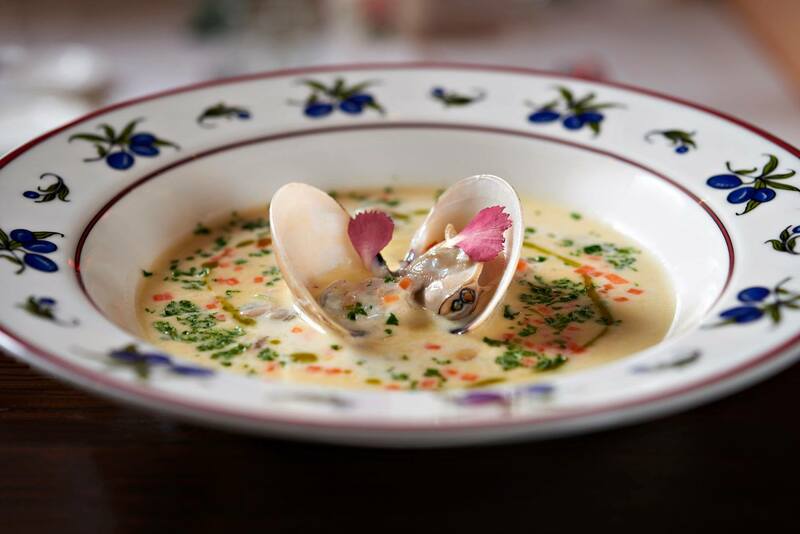 Immerse in a lovable atmosphere and toast to true love with an indulgent Italian 4-course set dinner where Prego’s dedicated culinary team will ignite the sparks of love with their passionate creations. 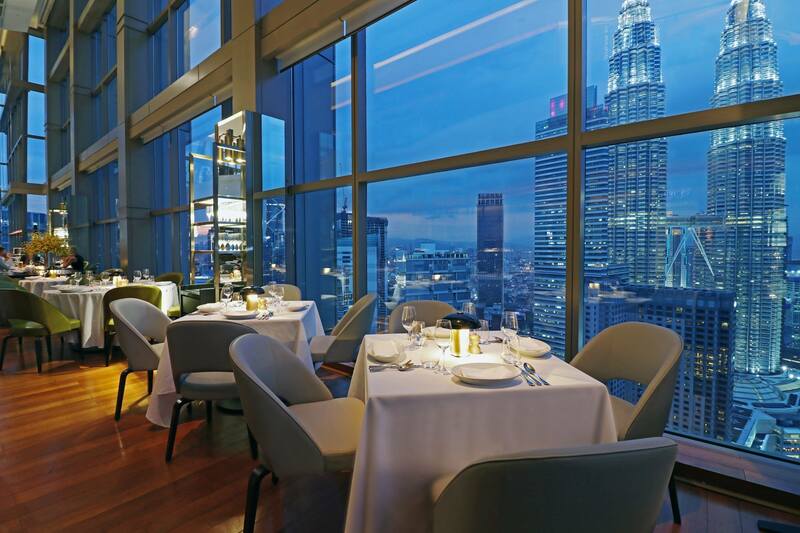 Experience a gourmet evening in a candle-lit, romantic setting, at the TRACE restaurant & bar overlooking the cityscape and Petronas Twin Towers. 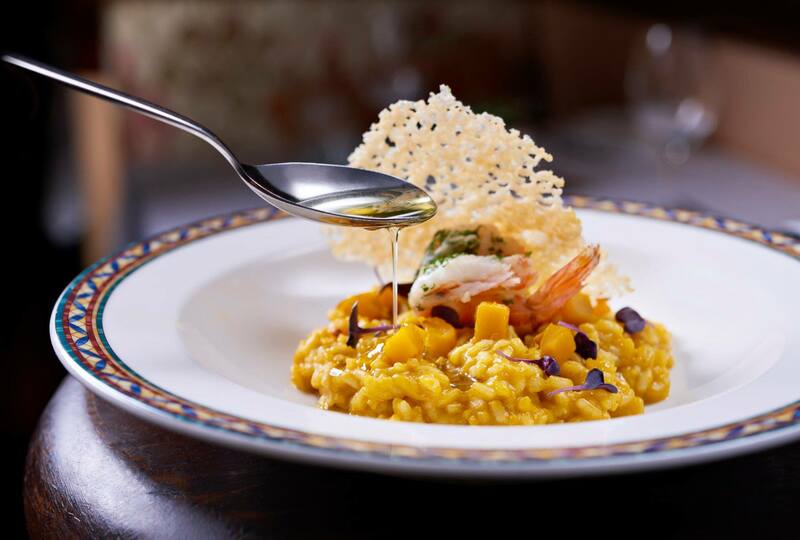 Celebrating Valentine’s Day for the first time ever at the newest hotel in town, the restaurant’s culinary team will be serving a 4-course rustic Italian menu themed “That’s Amore”, featuring notes of rustic, yet modern and luxurious concoctions. 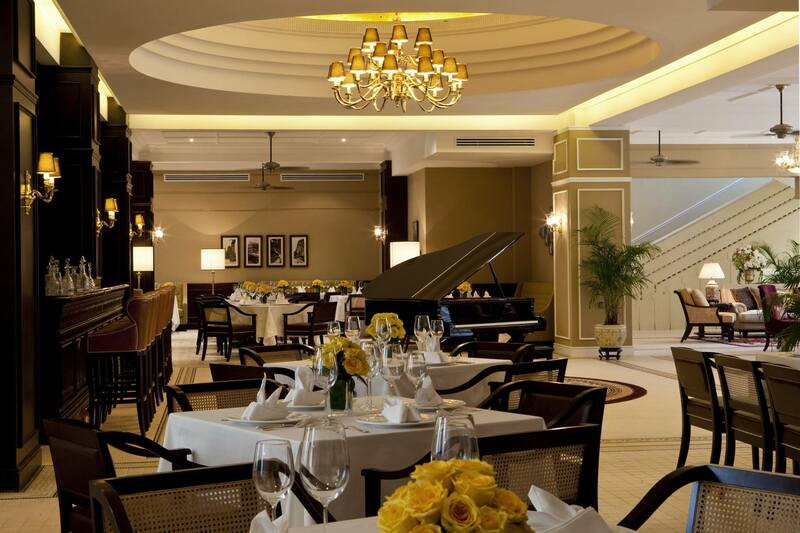 The dinner package is inclusive of the 4-course dinner, heart shape pralines, music performance and a surprise “flower”. The Valentine’s Dinner is only available on 14 February 2018, 7pm – 10.30pm, priced at RM388 nett per couple. 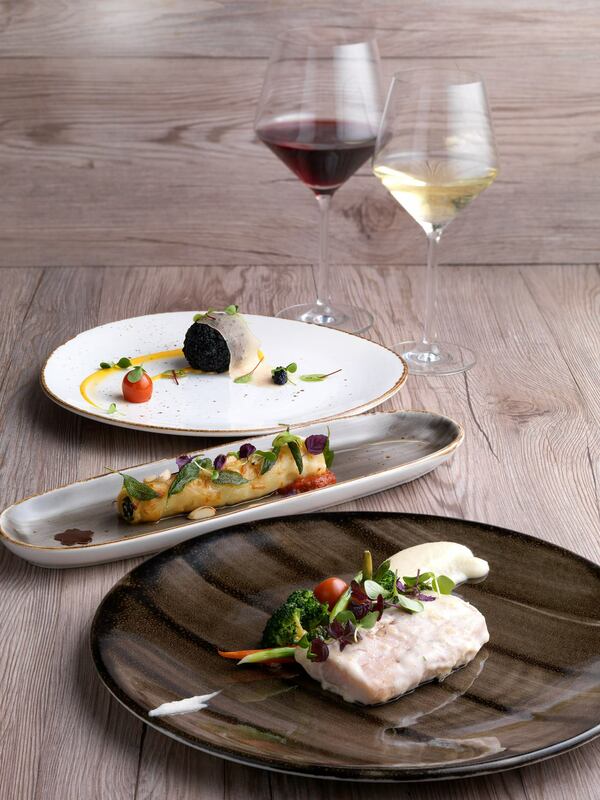 With an additional RM150nett, you can enhance and pair your 4-course meal with wine. 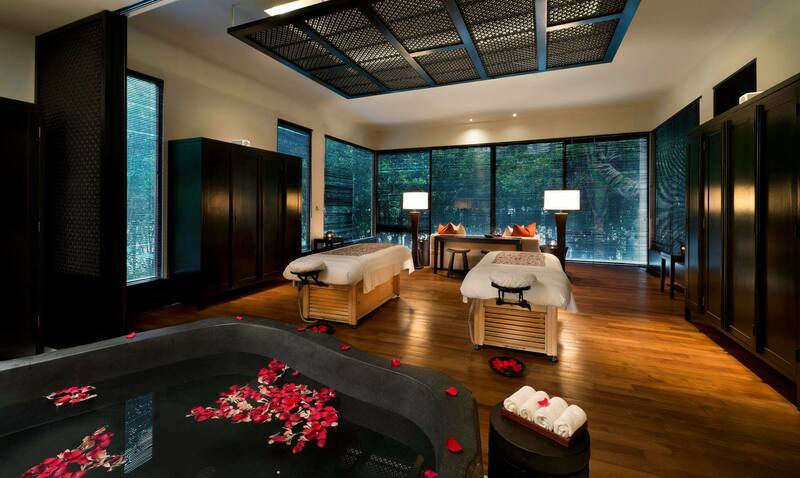 Stay in any of Element KL’s guest rooms, between 9th– 18th February, and surprise your partner with a love message written on the glass window; What’s better, you get to connect with your partner through a yoga session, and indulge in a romantic breakfast in bed the next morning. 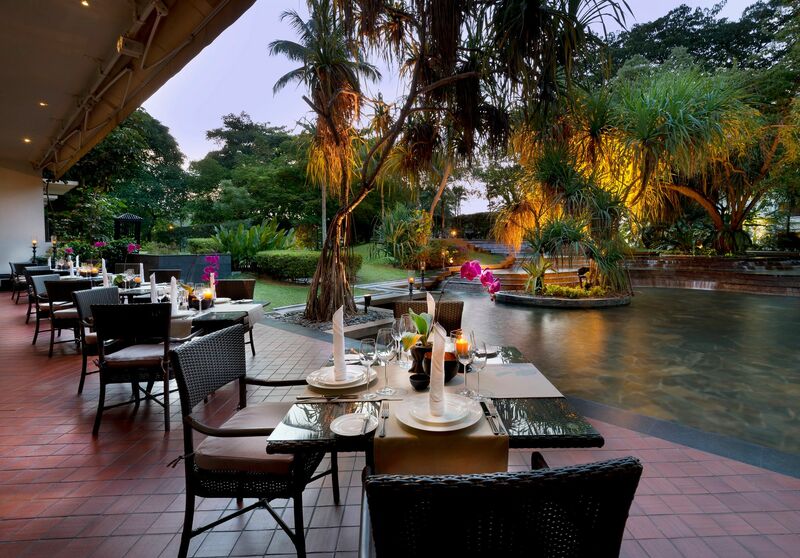 Samplings on the Fourteenth at Berjaya Times Square Hotel, Kuala Lumpur, and is an award-winning fine-dining restaurant under the stewardship of Chef Val’s. 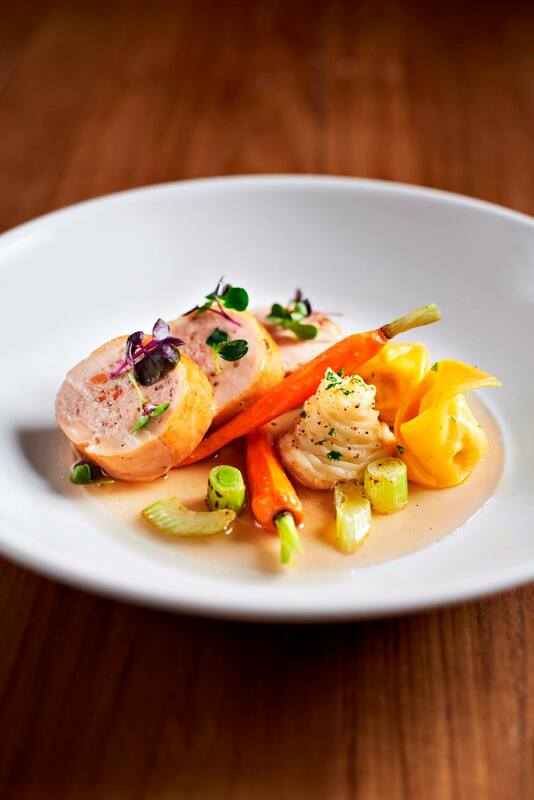 The restaurant has collected 12 awards thus far; with the most recent being Best Fine-Dining Restaurant, World Gourmet Award (2017) and the prestigious Malaysia International Gourmet Festival, MIGF (2015). The Colonial Cafe will be having a Valentine’s Day Set Dinner on 14 February 2018 priced at RM550 nett per couple with the Soliano’s performance, Valentine’s Giveaway, and complimentary glass of bubbly. The Smoke House will be having the “A Classic Romance” dinner on 14 February 2018 priced at RM 1,000 nett per couple. 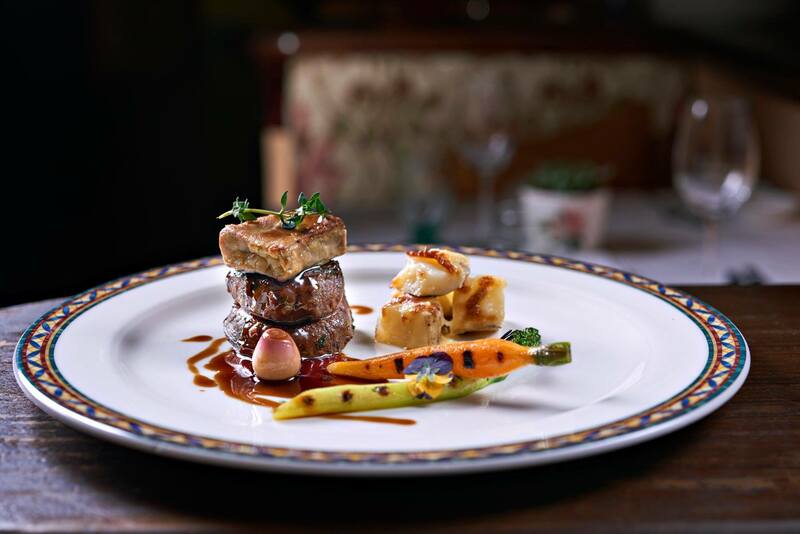 The experience consists of an evening of exclusive dining for a group of three to five couples, with apéritifs and a six-course meal in The Private Dining Room of The Smoke House, a Majestic flower bouquet for the lady, and after-dinner tipples. The interior of the restaurant. Get a window seat if you can as it overlooks the lake! 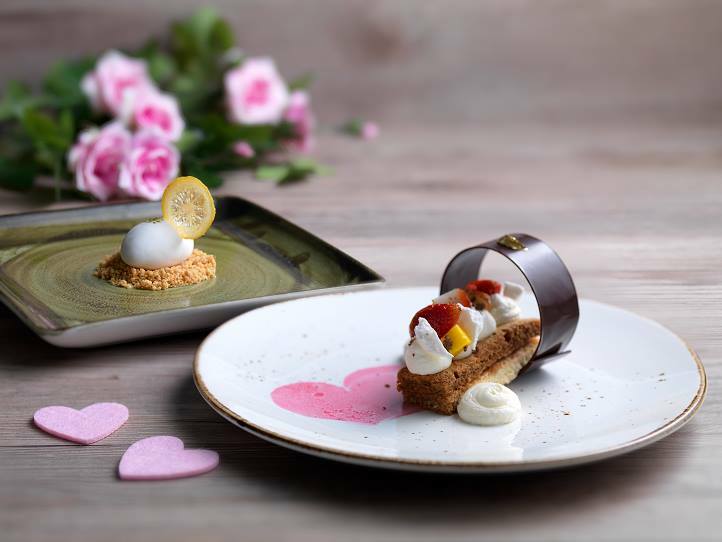 Villa Danieli at Sheraton Imperial Kuala Lumpur presents their new Chef Luigi Di Giovanni this Valentine’s Day, curating his menu of love from Rome – the city of St. Valentine. This year, Villa Danieli is offering their special Valentine’s 5-course Italian Set Dinner at Villa Danieli on 13, 14 and 15 February 2018 at the romantic free-standing trattoria (Tuscany villa) located on level 5 of the hotel. There will be a 5% discount for early birds bookings made before 8th February 2018. This 14 February 2018, THIRTY8 at Grand Hyatt Kuala Lumpur is offering a special five-course sharing menu, priced at RM 860 nett per couple, which is inclusive of two glasses of Taittinger brut champagne per couple and table decorated with rose petals. If you’re keen to make THIRTY8 your choice of venue for Valentine’s Day, I highly recommend that you book IMMEDIATELY! Pre-payment is required to guarantee a booking. 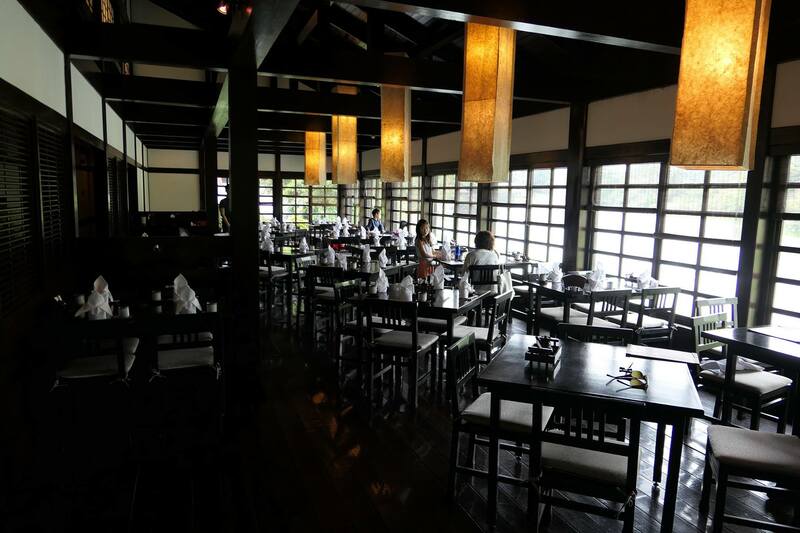 Enjoy a rich 5 course set menu with lavish Teppanyaki grilled Boston lobster served with Curry Risotto Balls, Fresh Tuna and Salmon Sashimi and more! A special him & her menu that caters to the needs of your loved one. Rich ingredients that are aphrodisiacs and packed with antioxidants to boost your love senses. 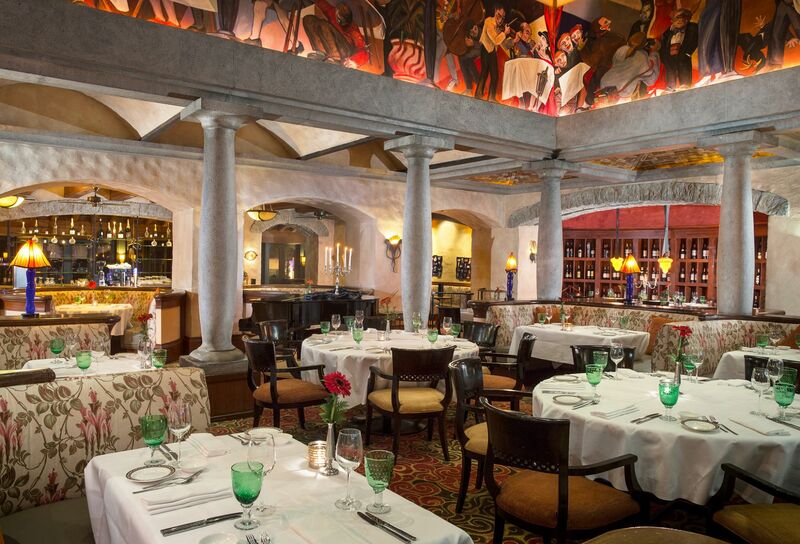 Enjoy a 4-course set menu paired with 3 glasses of wine and a red rose for the lady. A candle light dinner with the best steak in town. From oysters rockefeler to Australian beef tenderloin with Diane sauce, Chambers Grill has special something for both of you. Special Privileges: Enjoy 10% off for Hilton Premium Club Members. Standard discount applicable for Credit Cardholders. 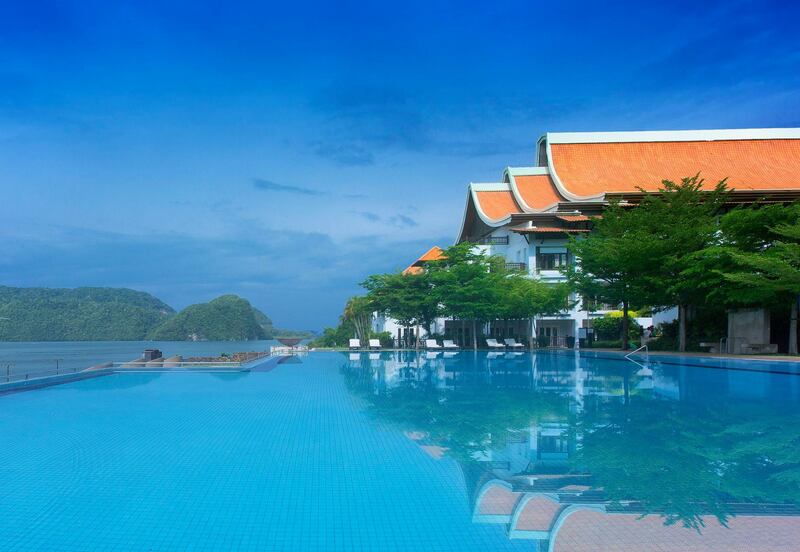 The St. Regis Langkawi is one of the newest hotels on Langkawi Island, situated on the southern tip of the island. The 5-star luxury resort with with 85 suites and 4 over-water villas, represents the pinnacle of sophisticated island living. 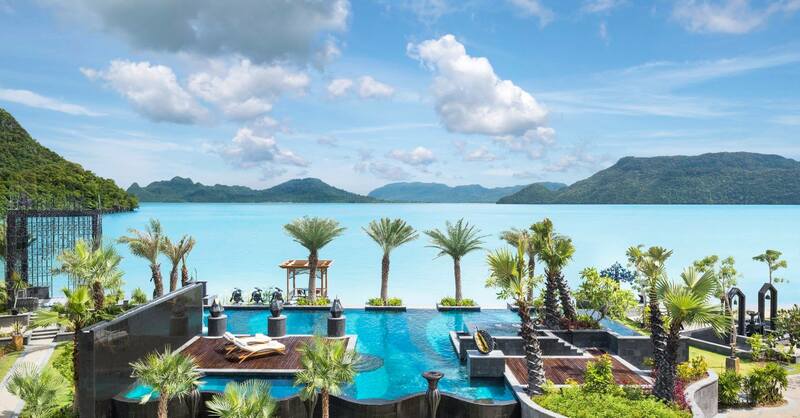 The St. Regis Langkawi proffers the most luxurious beachfront resort experience and is set amidst centuries-old rainforest fauna and nature, and the glimmering Andaman Sea. Indulge in luxury with the resort’s signature St. Regis Butler Service, beautifully serene spa quarters, the oasis-like pool and luxury St. Regis chauffeured limousine service, or savour local and international fare at the 6 dining venues. 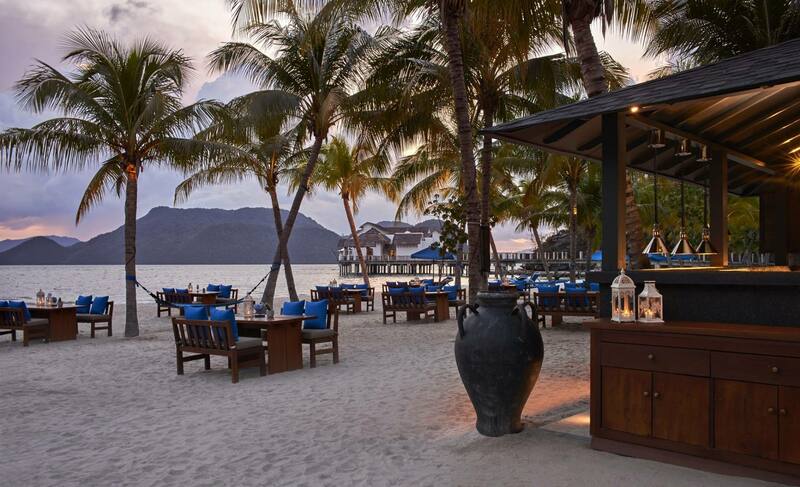 This February 14th, The St. Regis Langkawi has two (2) seductive dinners for this wonderful day of love and romance, as well as a special room deal. 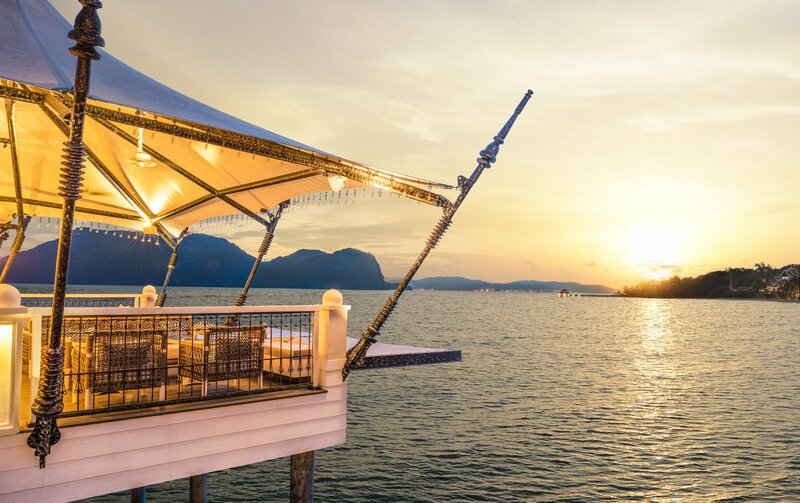 The Kayu Puti at The St. Regis Langkawi creates a unique ambience combining the captivating views of the Andaman Sea with the elegant plush interior of the venue. 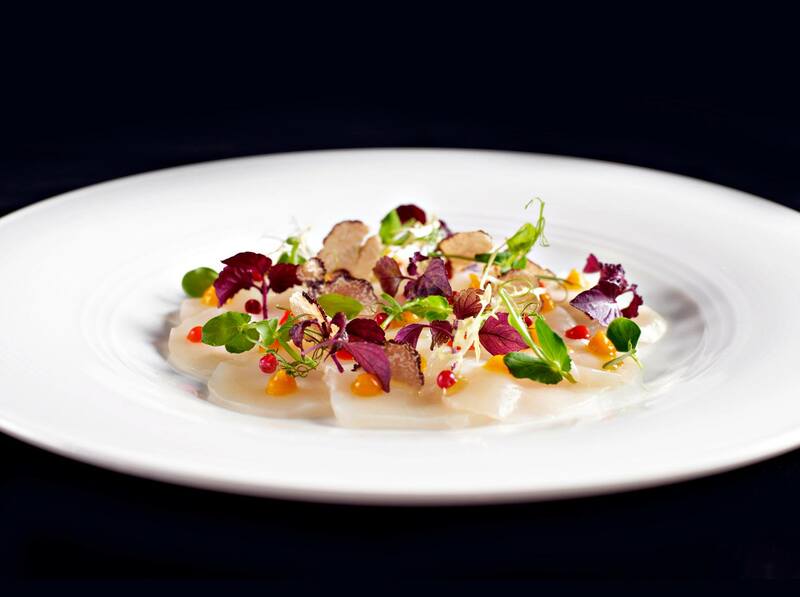 The over-water dining restaurant is helmed by acclaimed Executive Chef Gaetan Biesuz, and features a menu of Asian influenced haute cuisine and reinterpretations of regional recipes, complemented by an extensive beverage menu of inventive cocktails and classic tipples. This Valentine’s Day, Kayu Puti will be offering a 5 course dinner inclusive of beverage, a red rose and special farewell gift. Pantai Grill is a clean-lined and minimalist dining outpost located on the idyllic palm-fringed beachside premises by the Andaman Sea: This Valentine’s Day, the restaurant is offering a 6 course dinner inclusive of beverage, live music, a red rose and a special farewell gift. The hotel is also offering a luxurious retreat for a romantic escape for two where you and your partner can enjoy a bespoke experience, a bottle of champagne and flower bath during your arrival and indulge in a impeccable breakfast each morning at L’Orangerie. Rates starting from RM1,540nett per room per night. Minimum 2 nights required and there’s also the complimentary fourth night with every three consecutive paid night promotion. Rising temperatures on the horizon and stunning sunsets over the bay call for an outdoor picnic! Enjoy an idyllic setting at Splash with your romantic date. Home-made dips, fresh salad options, choice of beverage (additional charges apply for alcoholic beverages). Rates from MYR 898 net per room per night. (Inclusive of service charge). Valid for bookings and stays until March 31, 2018. 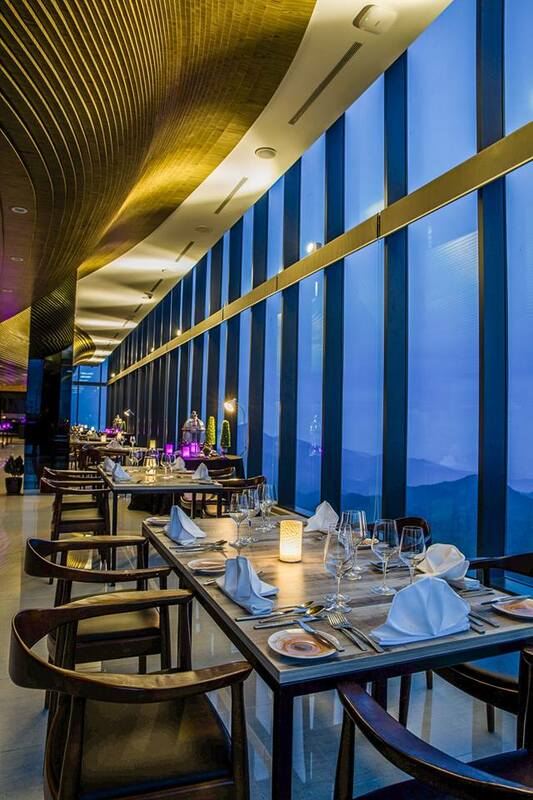 For a romantic rendezvous with your lover, bring romance to greater heights at Hugo’s in the Sky restaurant from 13 to 19 February 2018 for only RM398.00 nett per couple. Taste Café has Penang’s first ever BBQ grill using Lava Stone which is imported all the way from Indonesia, marking the novel way of eating for a promising succulent meat and seafood treat. 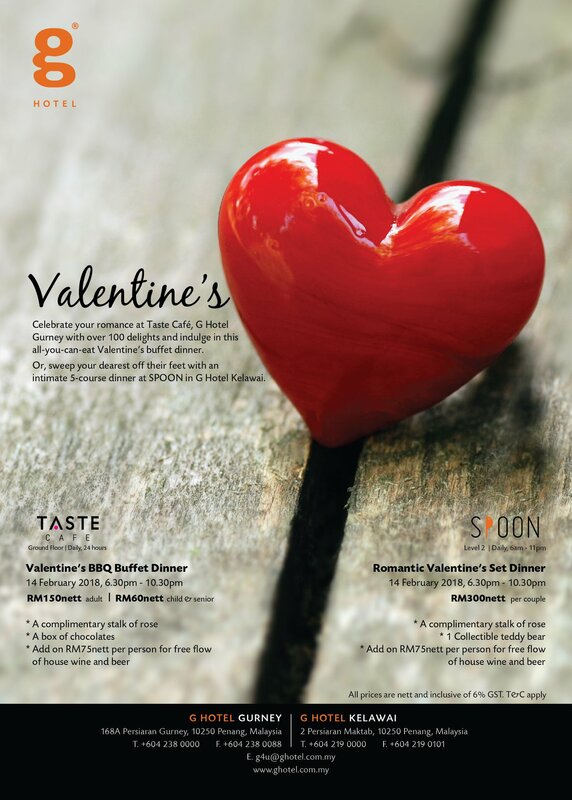 The Valentine’s BBQ Buffet Dinner menu at Taste Café features spread which includes their Seafood on Ice section with Prawns, Mussels, Scallops, Yabbies and more. 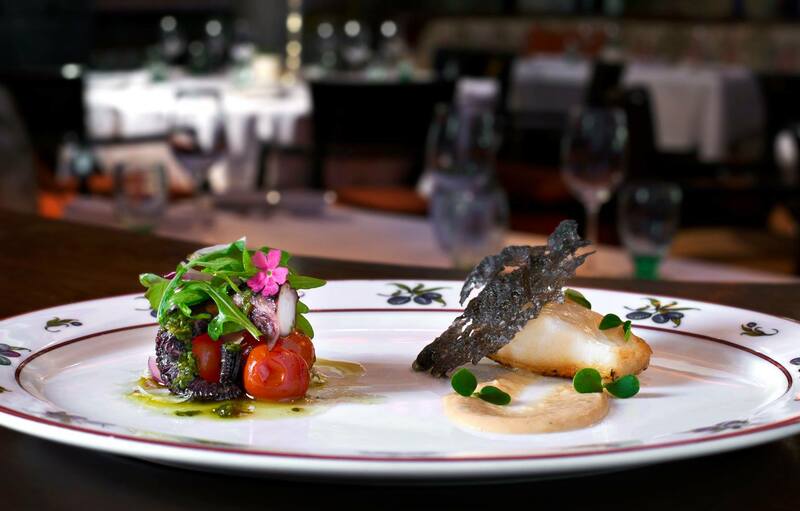 At the Lava Stone BBQ grill, the chefs grill a la minute freshly caught seafood such as Fresh Fish Fillet, King Prawn, Squid butterfly and Australian Mussels or prime Australia Beef Stake – which are complemented with 6 types of sauces. There will also be carving stations serving premium meats like the Roasted Beef with Mushroom sauce and Baked Honey Glazed Chicken Meatloaf. Other notables dishes include the Lamb Stew with French beans and Zucchini, English style Baked Salmon, Spinach and Potato Pie cleverly topped with Lemon Butter, chef’s signature of Apricot Glazed Chicken with Roasted Vegetable, Baked Chilly and Cheese Oysters which is a fusion of Asian and Western style, and more. End the meal on a sweet note with delectable desserts including Raspberry Opera, Cream Caramel, Chocolate Mud Cake and Mango Pistachio Mousse Cake dressed in romantic theme. There will also be live Crepes Suzette and condiments which is a thin crust pancake glazed with fresh orange sauce right before the eyes. Valentine’s BBQ Buffet Dinner at Taste Café is available on 14 February 2018 from 6:30pm till 10:30pm, priced at RM150nett for adults while children from the age of 6 to 12 and senior citizens age 60 above enjoy at the rate of RM60nett with a complimentary rose and a box of Praline chocolates. SPOON at G Hotel Kelawai will be offering a Romantic Valentine’s 5-course set dinner in a romantic atmosphere and a view of the cityscape. 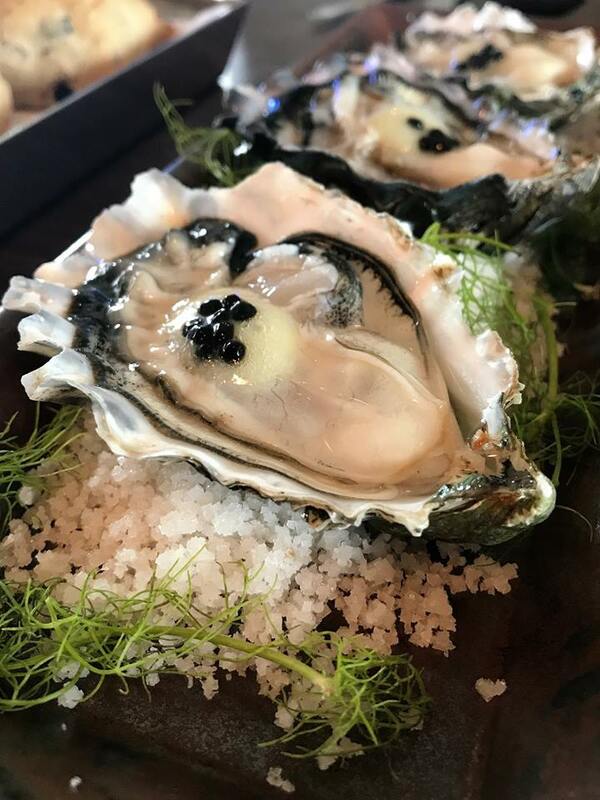 Start with Fine De Claire Oyster served with Yuzu gel and caviar, followed by the Soupe aux Champignons, a blend of wild mushroom with truffle milk foam. 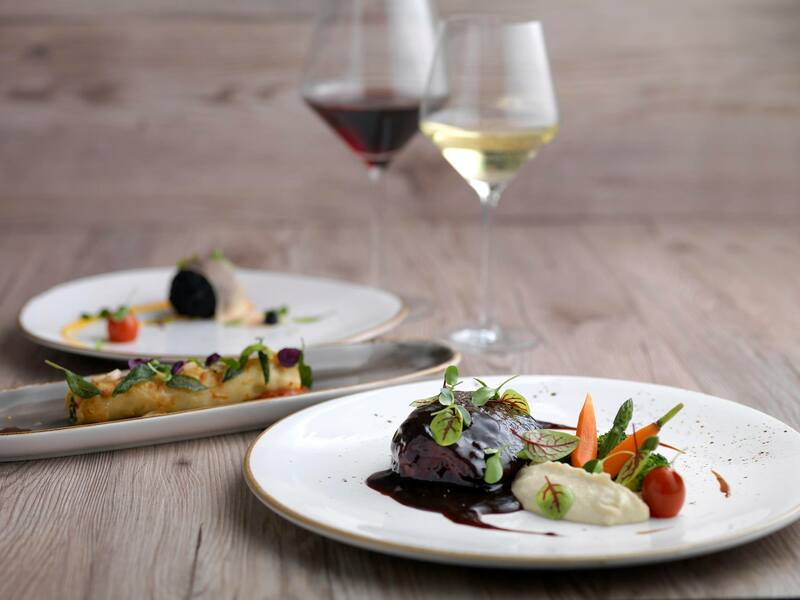 For the mains, you get to select either the Atlantic Cod, a pan-fried fresh cod fish complemented with scallop, creamy pea puree, spicy nuts and coconut emulsion, or the Agneau Grille, a premium French lamb rack cooked with parsnip, sous vide beetroot and topped with rosemary jus. The meal ends on a sweet note with Cassis & Lavender, a lavish dessert with Lavender Joconde layered with Lavender Mousse and Cassis Jelly, served with Vanilla ice cream. 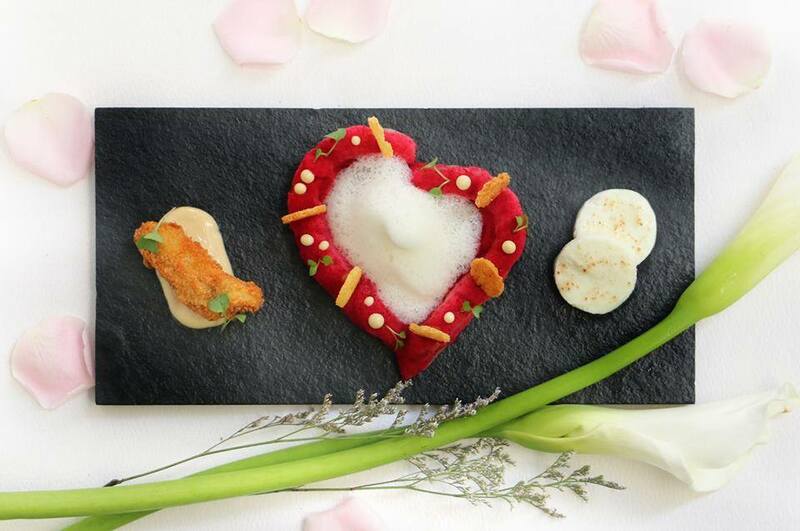 The Romantic Valentine’s Set Dinner at SPOON is also available on 14 February 2018 from 6:30pm till 10:30pm, priced at RM300nett per couple with a complimentary rose for the lady and 1 collectible teddy bear. For more information or reservations, head over to http://www.ghotel.com.my or call 04-2380000 for G Hotel Gurney & 04-2190000 for G Hotel Kelawai. 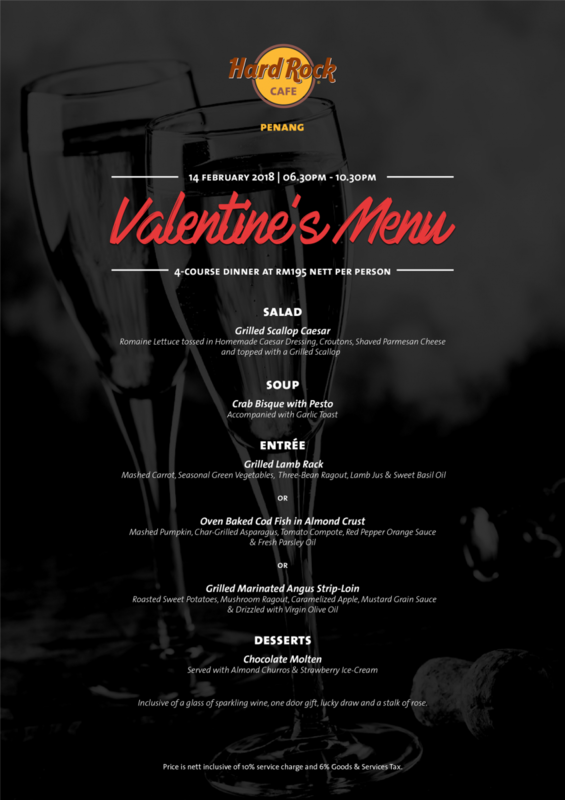 The Hard Rock Hotel Penang will be having a special Valentine’s Day 4-course set dinner at Hard Rock Cafe Penang this 14 February 2018 from 6.30pm – 10.30pm, priced at RM195 nett per person. 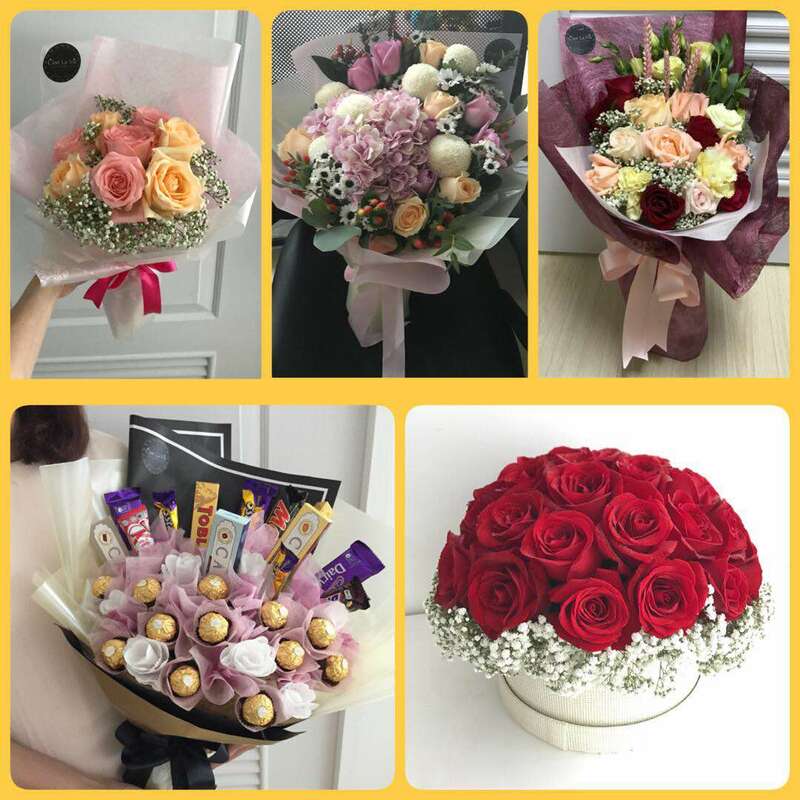 The set dinner includes a glass of sparkling wine, door gift, lucky draw and a stalk of rose for the lady. 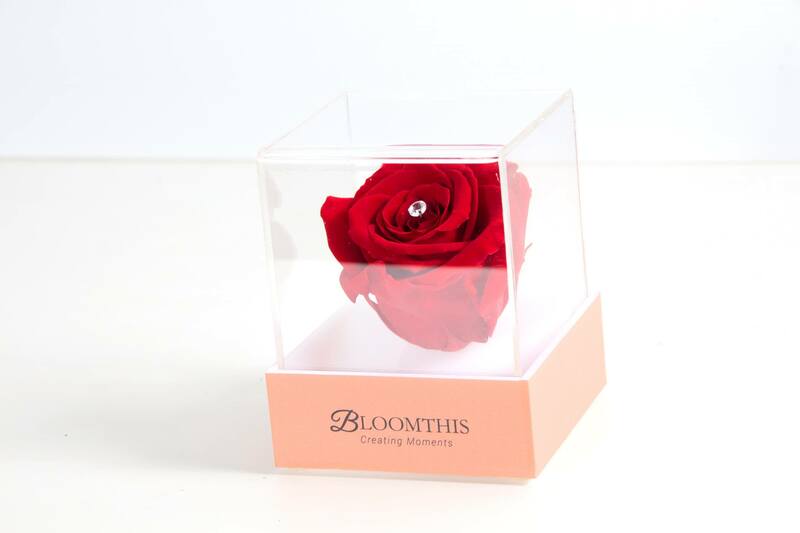 Each year, I highlight the offerings by various florists and this year BloomThis has a very special creation to celebrate love the upcoming Valentine’s Day. 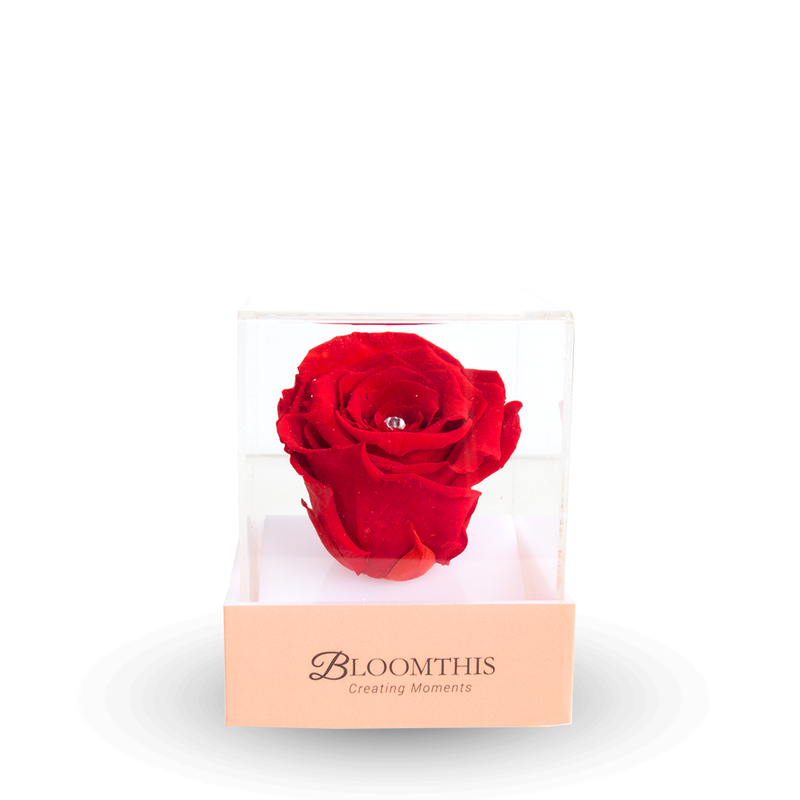 The BloomThis Eternity features a preserved Rose bud with a glimmering “diamond” centrepiece, sealed in a glass display. 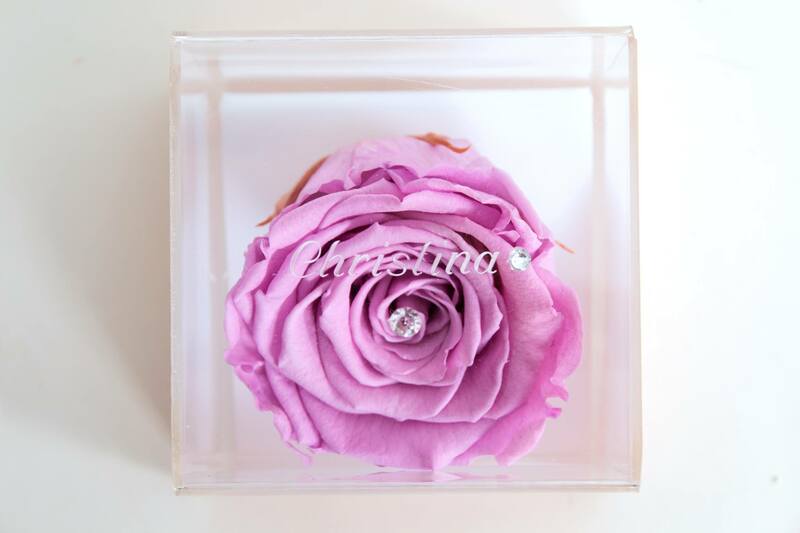 This very unique and classy gift will definitely convey your affection towards your partner. 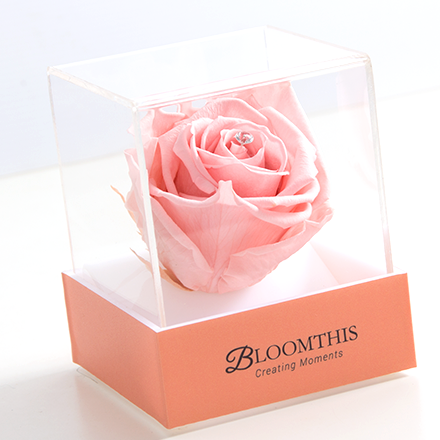 The BloomThis Eternity is priced at RM139 without engraving and RM169 with engraving. You can opt to have your partner’s name engraved on the top – adding a personalised touch to your gift! 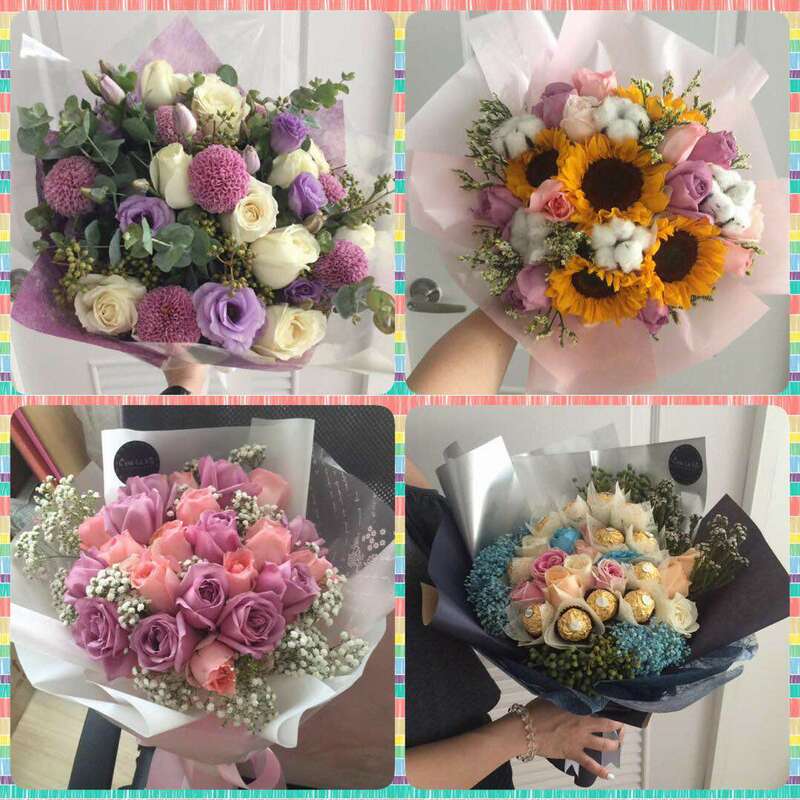 BloomThis also has more traditional flower bouquets, some with teddy bears, bunnies and even sparkling wine included alongside the flowers! 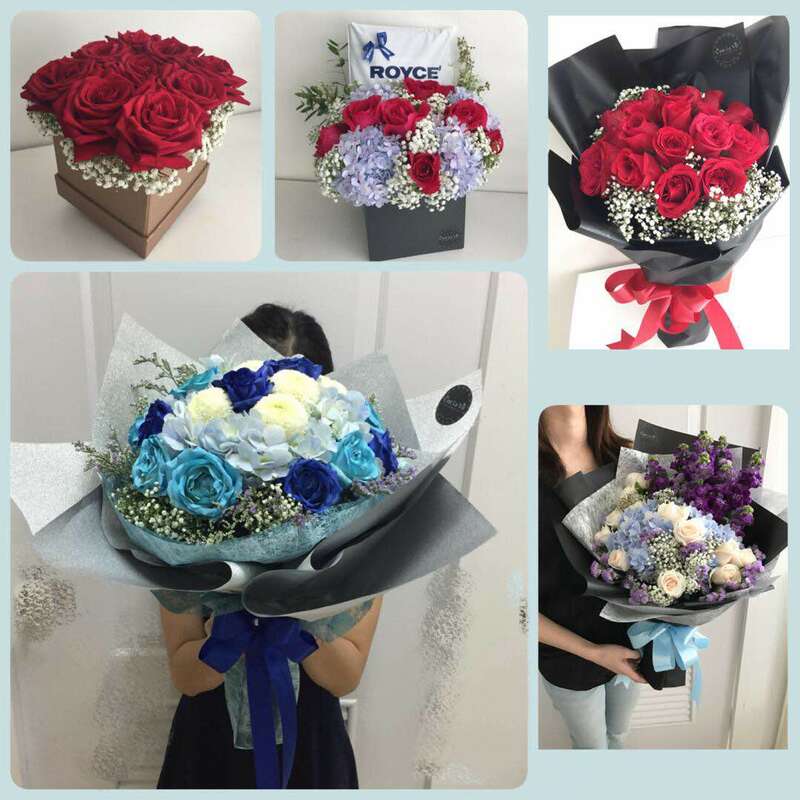 Order your flowers for Valentine’s before Sunday, 11 February 2018 and enjoy RM10 off! 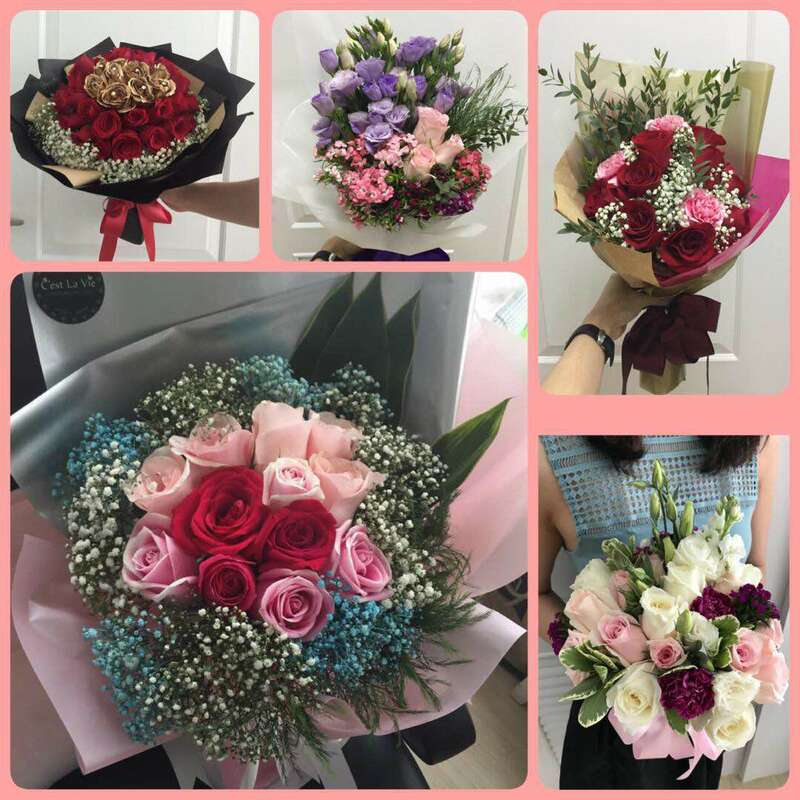 All flowers are subject to availability. 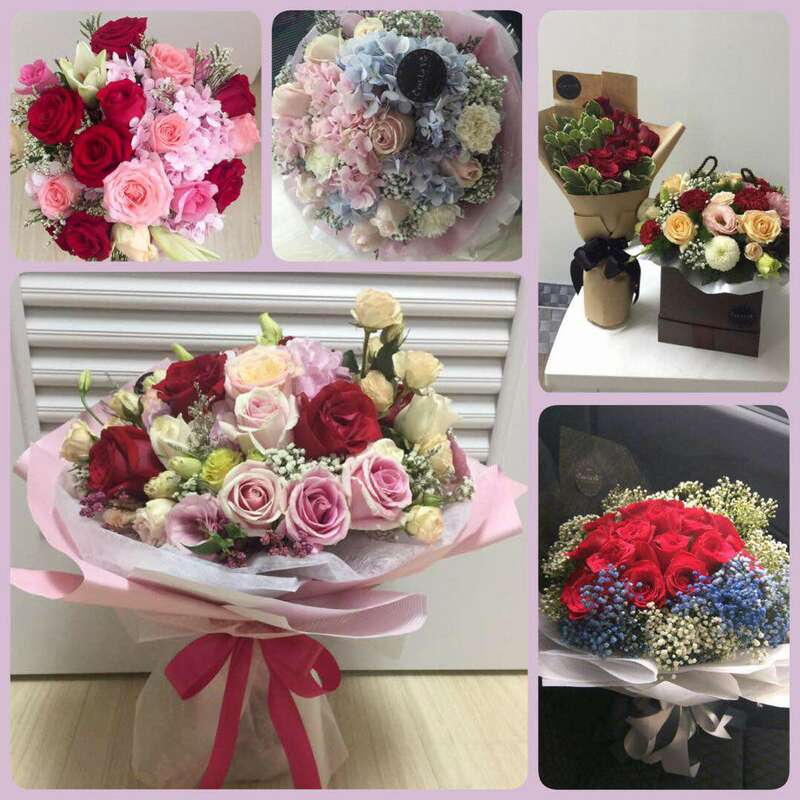 Cest la vie Florist reserves the right to substitute unavailable products with similar products of equal or greater value. Address: 1-1, Jalan USJ Sentral 1, USJ Sentral, Persiaran Subang, 47620 Subang Jaya, Selangor, Malaysia. The Calvin Klein watches and jewelry collections feature seductive yet clean and often minimalist aesthetic, with innovative, bold, progressive and seductive designs, with stylish collections for both men and ladies. First launched in 2004, the jewelry collection takes everyday life and the world as its source of inspiration. The original geometrical creations have given way to designs that are more fluid, organic, sensual and integrated; a reflection of the modern trend. Calvin Klein Watch & Jewelry boutiques are located at Pavilion Kuala Lumpur, Suria KLCC, Sunway Pyramid, and Sunway Velocity. The products are also available at authorised dealers nationwide. If your man appreciates a quality single malt whisky, why not get him one that will get him thinking of you with each sip of the exquisite golden liquid. 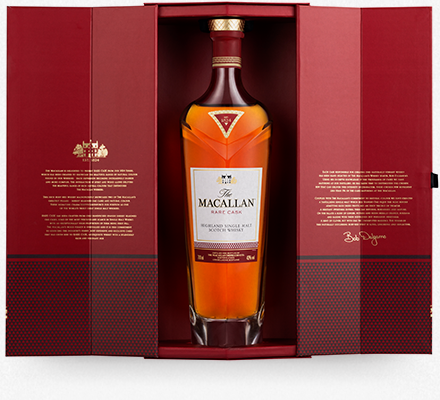 The Macallan Rare Cask is a 43% ABV whisky, crafted to showcase complexity and depth, and is drawn from the broadest spectrum of casks, 16 different types, ever identified by the Master Whisky Maker. Far less than 1% of those casks maturing at the distillery have been identified as fitting to bestow the Rare Cask name. With rarity at its core, this is a whisky crafted from casks so rare they will never again be used in any Macallan whisky. Combining Spanish and American sherry seasoned oak casks, a high proportion of them first fill, gives rise to an exquisite whisky with a splendidly rich hue, and an unmistakably woody whisky. Soft notes of opulent vanilla and raisin on the nose, give way to apple, lemon, and orange. Balanced by a spicy quartet of root ginger, cinnamon, nutmeg and clove. Oak resonates, timeless, polished and rich. Vanilla and chocolate lead the finale along with a light citrus zest. The finish is full, warming and woody.